Every day with a toddler is an adventure -- and there's so much to look forward to as your child grows. Wondering when your little one will start to walk, talk, and do all those cute toddler things? Here's what to expect in baby’s second year. One of the most thrilling toddler milestones usually comes early in the second year. That's when your child will probably walk without help, one wobbly step at a time. 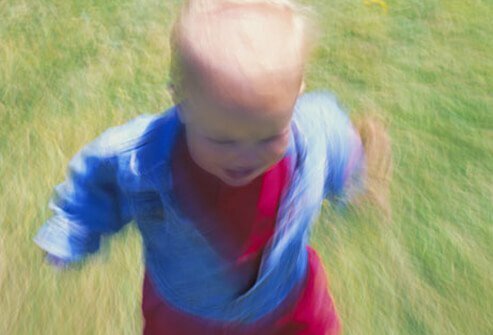 Most kids start walking between 9 and 17 months. The average age is about 14 months. There's no stopping them now! The chase is on! About six months after your toddler masters walking, he or she will probably be running. Then the question is, can you keep up? Your child will really start to explore once he figures out he can go up! "Up" means climbing up stairs and climbing on the furniture -- and in some cases out of his crib -- so be prepared for an adventure. 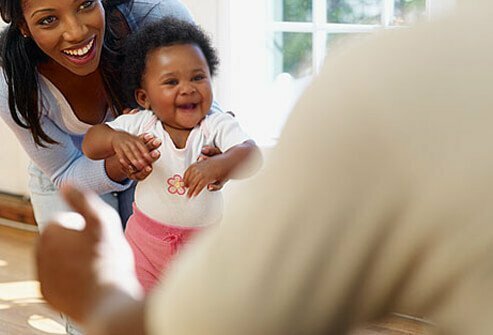 Your toddler will probably start climbing furniture and stairs (while holding the railing) some time during the second year, so keep an eye on her. Once your child gets close to climbing out of his crib, stop using the crib. Kicking a ball is a big step. Your toddler needs the coordination to kick, plus the ability to make the connection that if he kicks the ball, it will roll or bounce. Once your child discovers that balls bounce, he will probably throw toys, food, and other objects to see if they bounce, too. It's too soon to tell if you’re raising the next Picasso, but your child’s early doodles will be priceless to you. During the second year, kids get more control over the small muscles in their hands and fingers. 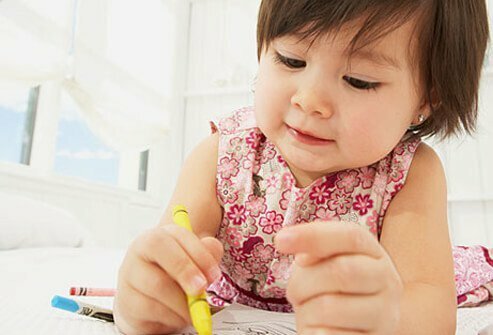 These fine-motor skills help toddlers scribble with crayons and eat with a spoon. Your child's imagination is coming to life. 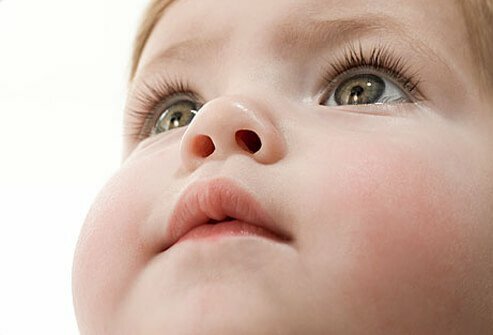 Between 18 and 24 months, a toddler's brain is ready to start playing make-believe. You may catch her "feeding" a teddy bear or talking into a toy phone. Enjoy her sense of magic. Until now, your toddler may mostly babble. But around 15-18 months, you can expect to hear some real words. Between 18 and 24 months, most kids start using simple phrases, like "no more" or "go there." By age 2, you may even hear a short sentence or two. Let the play dates begin! 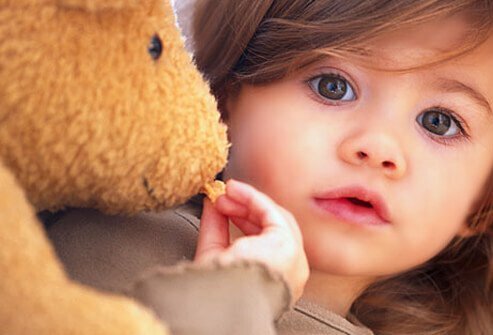 By the end of their second year, most toddlers show more interest in the company of other children. They may not be quite ready to share their toys when they play, but it's a big step in their budding social life. Marat Zeltsman, DO, pediatrician, Joe DiMaggio Children's Hospital. Marshalyn Yeargin-Allsopp, MD, medical epidemiologist, National Center on Birth Defects and Developmental Disabilities, CDC. Michelle Bailey, MD, medical director, Duke Health Center at Southpoint. National Dissemination Center for Children with Disabilities.